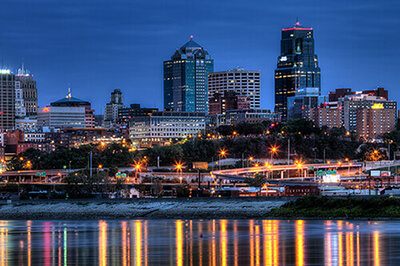 Kansas City Limo Service • The best way to travel in Kansas City! Kansas City Limo Service is the top company when it comes to luxury transportation. We offer a beautiful fleet of limousines and limo buses, each with beautiful custom interiors and luxurious amenities. 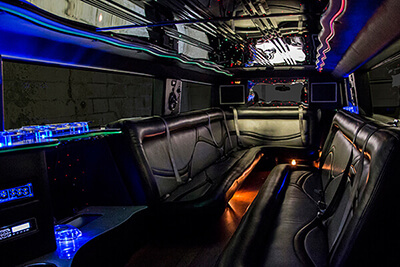 Our limousines all feature custom leather seating, hardwood floors, on board bars with coolers. To put it simply, our limousines have all the luxurious features you'll need to travel in VIP fashion. So the next time you're in need of a luxurious ride to and from your wedding, bachelor or bachelorette party, birthday party, concert, night on the town, or any other event, call Kansas City Limo Service! Our services are perfect for any occasion and we are honored that the great people of Kansas City have looked to us for their transportation for so many special occasions! We've provided our services for bachelor and bachelorette parties, weddings, nights of bar hopping, birthdays for all ages, graduation parties, and more! We truly believe that luxury transportation can take anything to the next level and we love being able to provide such a service for people all over KC. We always pick you up on time and do our best to be early so that you're event can kick off on time and go off without a hitch! If you have any concerns or requests please let us know so we can do our best to accommodate you. Here at Kansas City Limo Service we are proud to offer not only a great product, but great services and pricing. Our customer service agents and chauffeurs are all the best in the business, each one is friendly and professional. When it comes to pricing, our deals can't be beat! We offer competitive pricing on our rentals and include unlimited stops and mileage meaning our rentals give you the most bang for your buck! Fair prices and zero hidden fees! When you consider our beautiful vehicles, our amazing customer service, and our 24/7 service all over the state, it's clear that our deals simply can't be beat! Browse our site to learn more about our company and what we do. When you're ready to get your quote, book your reservation, or just ask questions, go ahead and give us a call! Our friendly agents will be glad to help you! Service all over the state! Amazing customer service from our booking agents to our chauffeurs! We’ve got the kindest and most caring staff that you could ever imagine, so from moment one of the booking process to the final seconds of your trip with us, you will enjoy the ultimate customer service experience. Totally hassle-free, worry-free, relaxing time on the road, just you and all your good friends plus all our exciting features! 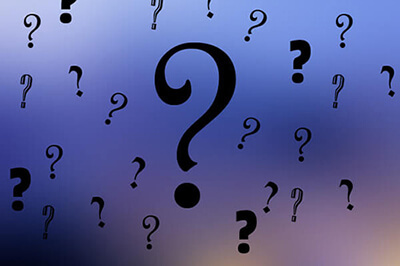 We’re always right here to address any questions or concerns that you have, and always ready and willing to put in the extra effort to make sure your trip is a success! The most lavish vehicles with everything from custom interiors to amazing features like flat screen TVs and on board bars. We’ve put in real work to fill these buses with the best custom features of any local company! We want you to feel like a million bucks, like a real VIP or MVP cruising our city streets in the finest vehicle that money can buy. You’ll have plenty of room to stretch out your legs and relax with your loved ones, celebrating whatever events you have in mind. Rentals with unlimited stops and mileage so you can go wherever you want and stop at as many places as you'd like along the way. Some local companies actually limit the amount of miles that you can travel or the amount of stops that you can make! Can you believe it? That is absolutely not the case with us. You spend your hard earned money on your time on the road with us and you will absolutely get every bit of what you pay for. The itinerary is yours to design and you can go wherever you like. No limits, just fun. The night is yours. Affordable rates with no hidden fees. We know that you work so hard for your money and you absolutely do not deserve to be slammed with hidden fees at the end of your trip! We’ve heard horror stories from our customers about their experiences with other companies. Believe us, that’s the last thing we’d ever want to do. When you’re on the road with us, you’ll already know exactly what you’ve paid for and exactly what you’ll receive. It’s all spelled out cleanly and plainly in your contract in crystal clear common language. No fine print, no sketchy wording. You have our word on it! 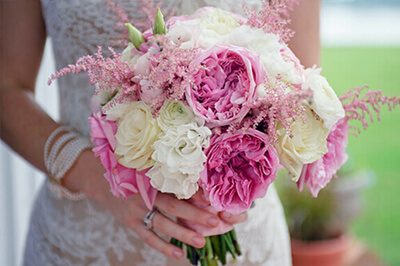 Services that are ideal for any event from birthday parties to weddings to nights on the town. We believe that with the right fleet of vehicles, we can serve any event under the sun. Whether you’re sending your teens out on a fun prom night or a graduation celebration, or whether you’re celebrating your 21st birthday or the big 4-0, we’ve got you covered! Likewise, weddings and bachelor/bachelorette parties are wonderful with us too. It all comes down to having beautiful, reliable transportation with a truly professional chauffeur behind the wheel, and that is precisely what we deliver when you do business with us. ©2014 Kansas City Limo Service • www.KCLimoService.com • All Rights Reserved.